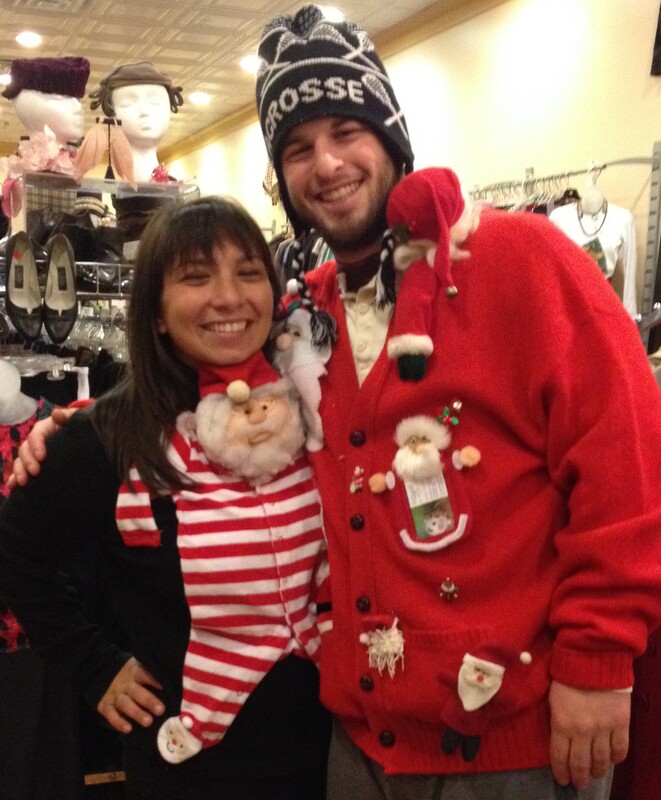 The Ugly Christmas Sweater parties have reached every corner of everywhere. The sweaters are available at every corner of retail. It’s mainstream, sure, but theme parties are fun, and I have this to say: Go all in. You can get a moderately Christmas-y, pretty unattractive sweater. You can. You can show up at the party and barely qualify to be there. But you can also go out in the thrift world (specifically, Frugal) and score the big winner. Throw some extra ornaments and battery lights on that sucker and be the damn party. At Frugal, we learned a couple of years ago that we couldn’t meet the ugly sweater demand through donations alone, so we started our workshop. 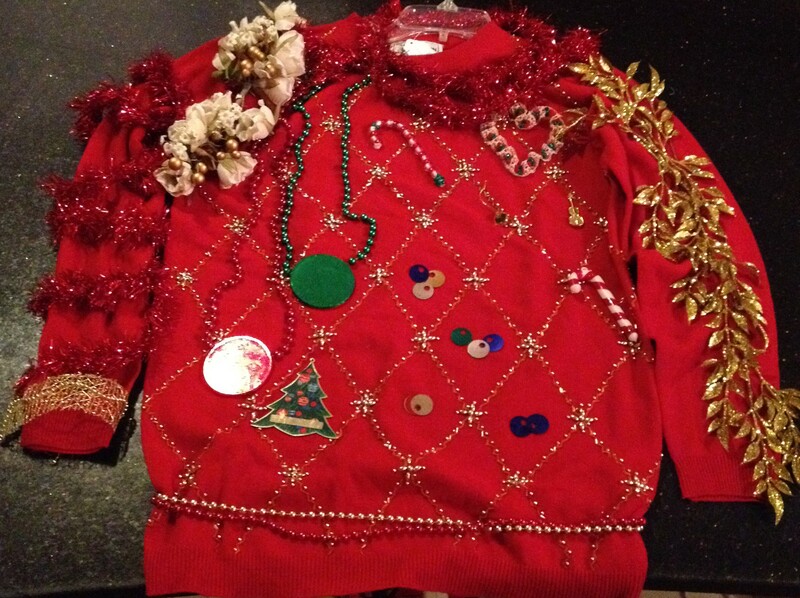 We gather Christmas baubles and bits throughout the year and sew and hot glue them all over some of our plain sweaters. They are hilarious and hideous, and they fly out the door. The Contest Winner. The back lights up. This party philosophy carries through to any theme party or holiday. You will always have more fun if you go over the top. If you have to dress for any theme or time period, you have to go a couple of steps beyond the authentic dress of the time to qualify as constume-y. Push it. It’s more fun.